Left to right: Jeff Kaufman, an advisor to the show; Enedina Cisneros, Radio Production Assistant; James Delahoussaye, Radio Producer; Shereen Lisa Dudar, Assistant Radio Producer; John Shrader, Kbeach Faculty Advisor. Photo courtesy of James Delahoussaye. 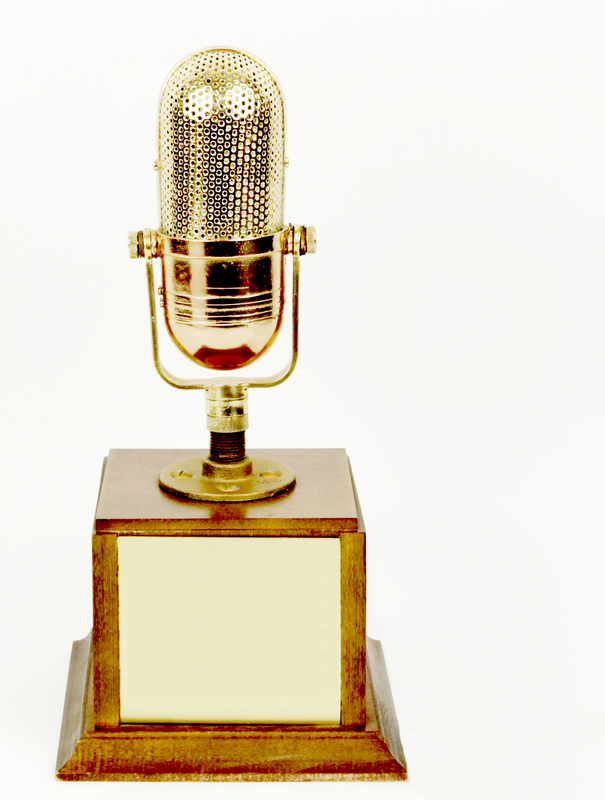 The Daily 49er Radio News show, Cal State Long Beach (CSULB)’s main news program featured on KBeach, won the Radio and Television News Association of Southern California’s Golden Mike award. 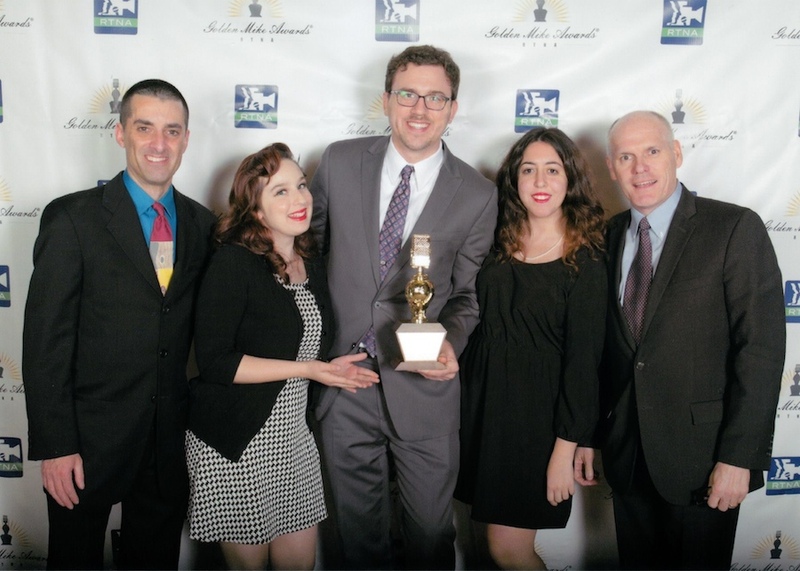 The award, for Best Radio News Public Affairs Program of 2013, was bestowed upon producer-anchor James Delahoussaye, writer-anchor (and former Long Beach Post intern) Shereen Lisa Dudar, radio production assistant Enedina Cisneros, and sports contributor Jason Clark. The Daily 49er Radio News—an offshoot of the campus’s print news source, The Daily 49er—is a weekly half-hour news magazine-style program that focuses on the campus while mixing in various other topics within the Long Beach community. It was largely the idea of Dudar and Cisneros—described by Dudar as “two sleep deprived girls running around trying to get soundbites”—and eventually grew into their current team of now award-winning journalists. This marks the first time a KBeach program has won the award, with the last time CSULB winning a Golden Mike was over a decade ago in 2002 when KKJZ-FM won for Best Economic Reporting. The specific episode honored was aired on September 18, 2013. The awards, handed out to the 13 counties south of Fresno, honor both regional and national electronic media news organizations and mark one of the most prestigious awards in SoCal, behind the LA Emmys for television and the AP regional awards for AP-affiliated publications. KBeach, a service provided by the campus’s Associated Student Inc., is an entirely student-managed radio station through Southern California via 88.1 HD-3 and nationally and internationally through KBeach.org. The program airs live Wednesdays at 8AM, and episodes are available on-demand at the newspaper’s website, www.Daily49er.com.